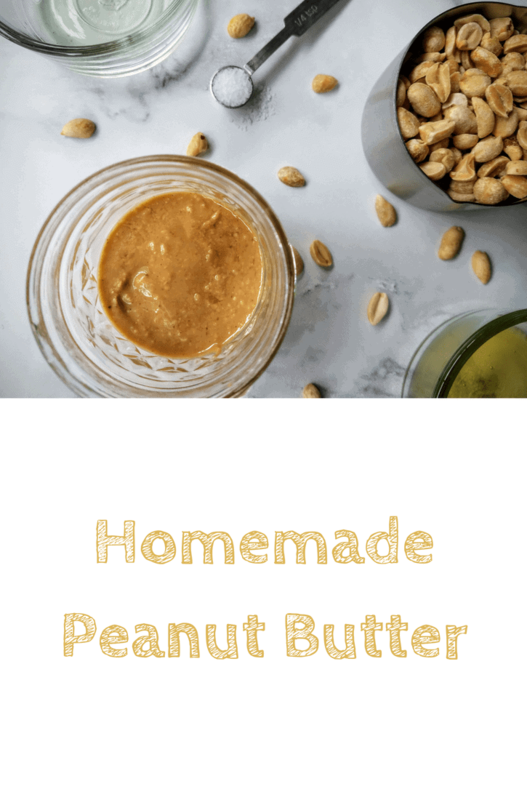 What type of peanuts do I use to make homemade peanut butter? It’s best to use unsalted, shelled, dry roasted peanuts. Since the peanuts are already roasted, you don’t have to do this yourself! You can also purchase raw, shelled peanuts and roast them yourself (350F for 10 minutes, or until they are lightly golden and glossy with oil). 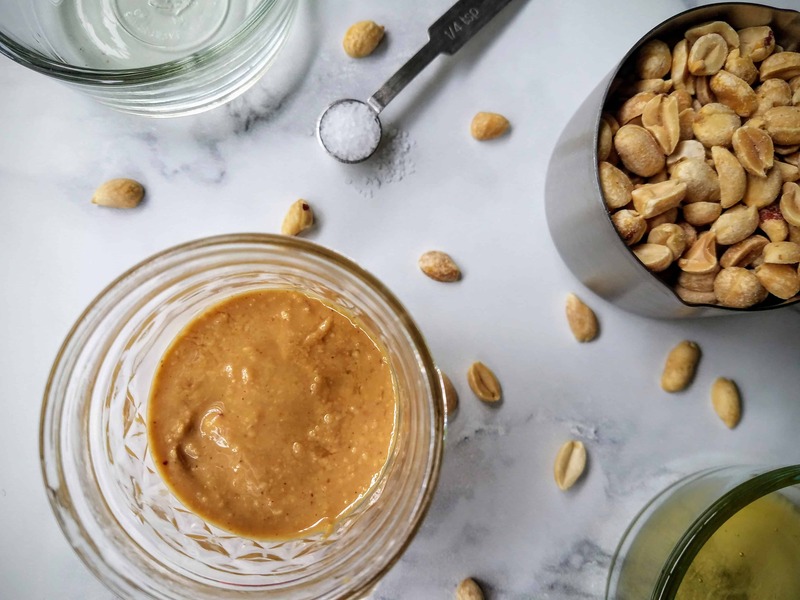 Can I make homemade nut butters with other nuts? Yes! Popular alternatives include pistachios, cashews, almonds, sunflower seeds, etc. You can substitute them 1:1 in this recipe. How long can you keep homemade peanut butter? Once it’s opened, about six months or so. Homemade peanut butter contains shelf stable ingredients, which is why it lasts so long. However, I always tend to err on the side of caution. I store my peanut butter in the refrigerator, and I make it in small batches so that I can use it within a month or two. You can also freeze it for later use. What is the main ingredient in peanut butter? Peanuts! Peanuts are the main ingredient in peanut butter. It can also be your only ingredient. 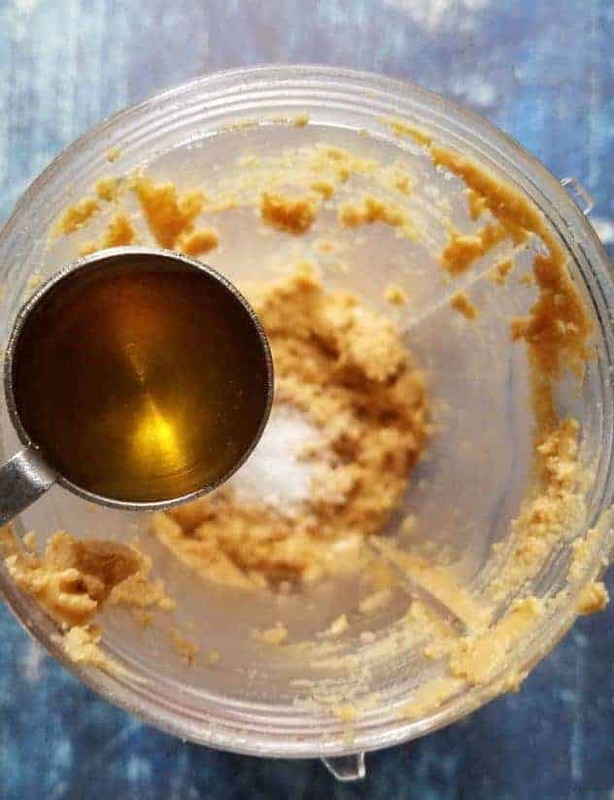 However, I like to add in a healthy oil to make it a little creamier, some honey or maple syrup to make it a little sweet, and a pinch of salt to balance the sweetness. Can you lose weight by eating peanut butter? Yes! Peanut butter is high in protein, and low in sugar. It is on the high side as far as calories are concerned, but it is a great food to help keep you fuller, longer, because of its protein content. The healthiest of any food is always going to be the one you make at home. Why? Because you know exactly what went into it, and you have more control over its nutritional profile (i.e., you can add in less sugar, salt, etc.). 1. 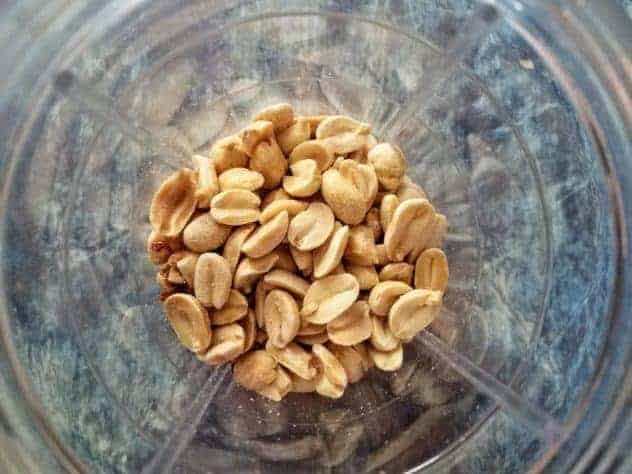 Place peanuts in a blender or food processor. Pulse a few times until the peanuts are coarsely chopped. 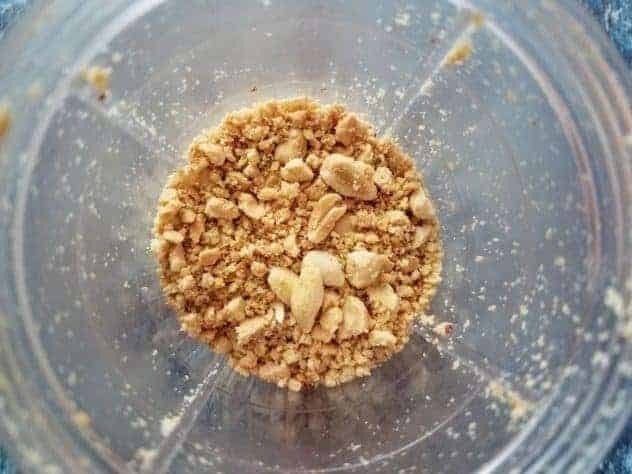 If you want to make chunky peanut butter, take out a quarter of the nuts (the amount of peanuts you put in, divided by 4. So if you put in 1 cup of peanuts, you would set aside 1/4) and set aside. 2. Run your blender continuously for 30-60s. Stop the blender, open the lid, and scrape down the sides with a spoon. 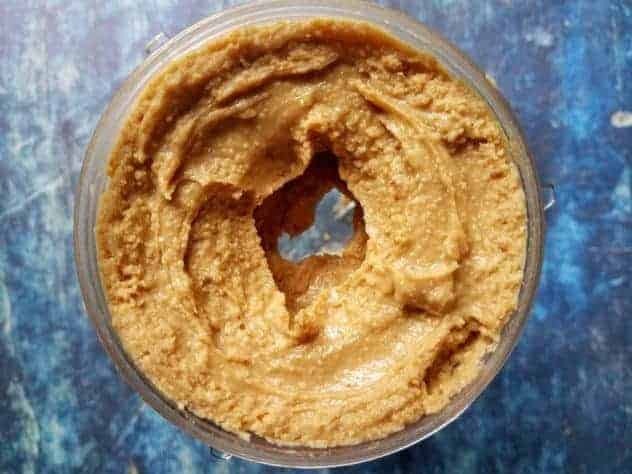 At this point, your peanut butter will resemble couscous. 3. Run your blender continuously for 30-60s. Stop the blender, open the lid, and scrape down the sides with a spoon. At this point, your peanut butter will start clumping together. 4. Run your blender continuously for 30-60s. Stop the blender, open the lid, and scrape down the sides with a spoon. At this point, your peanut butter will look thick and glossy. 5. Add in any extras like sweetener, salt, oils, cocoa powder, etc. 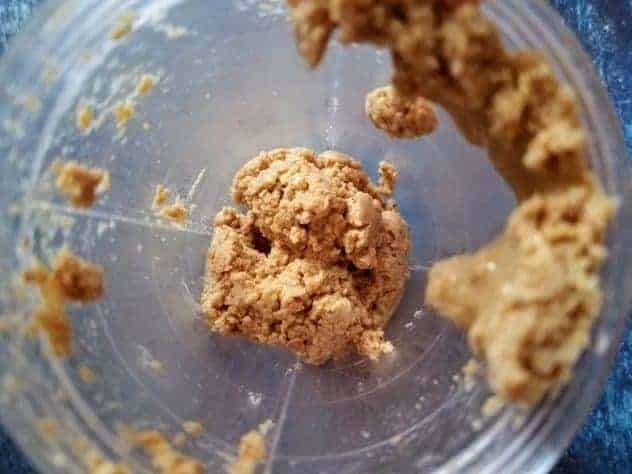 Run your blender continuously for 1-2 minutes, or until the peanut butter is smooth. While the peanut butter will be more gritty than store-bought, it should be spreadable. The more powerful your blender is, the less gritty it will be. 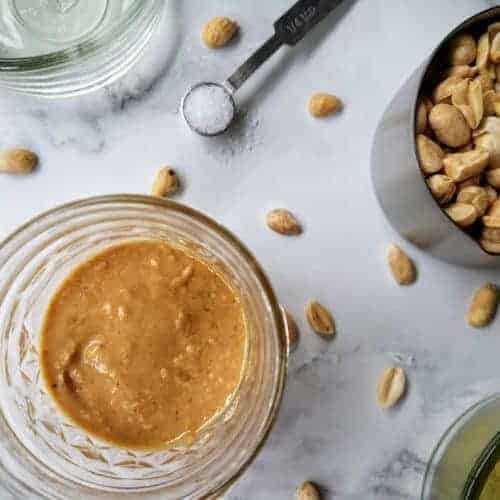 This homemade peanut butter is so much tastier and healthier than store-bought peanut butter, and it comes together in less than 10 minutes! Put peanuts into a blender and pulse a few times until coarsely chopped. If you want to make chunky peanut butter, measure out 1/4 cup chopped peanuts and set aside. Run your blender continuously for 30-60s. Stop the blender, open the lid, and scrape down the sides with a spoon. 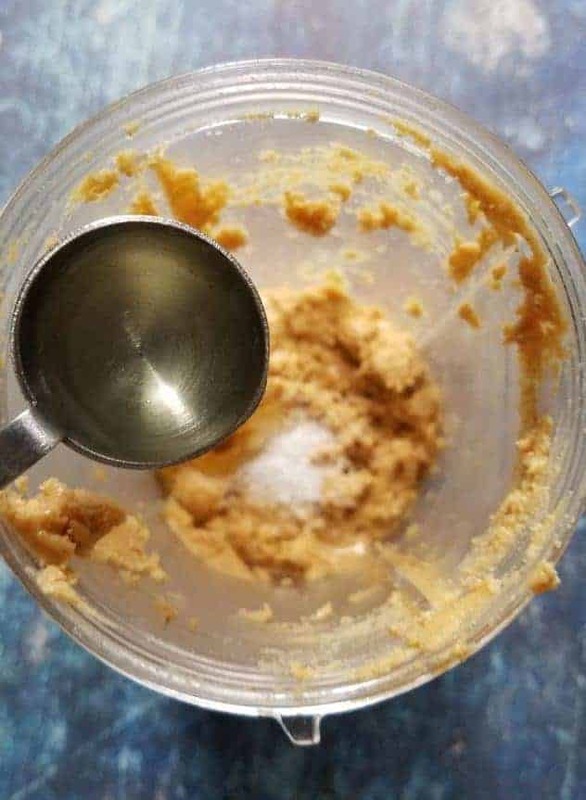 At this point, your peanut butter will resemble couscous. Run your blender continuously for 30-60s. Stop the blender, open the lid, and scrape down the sides with a spoon. At this point, your peanut butter will start clumping together. Run your blender continuously for 30-60s. Stop the blender, open the lid, and scrape down the sides with a spoon. At this point, your peanut butter will look thick and glossy. Add in any extras like sweetener, salt, oils, cocoa powder, etc. Run your blender continuously for 1-2 minutes, or until the peanut butter is smooth and spreadable. 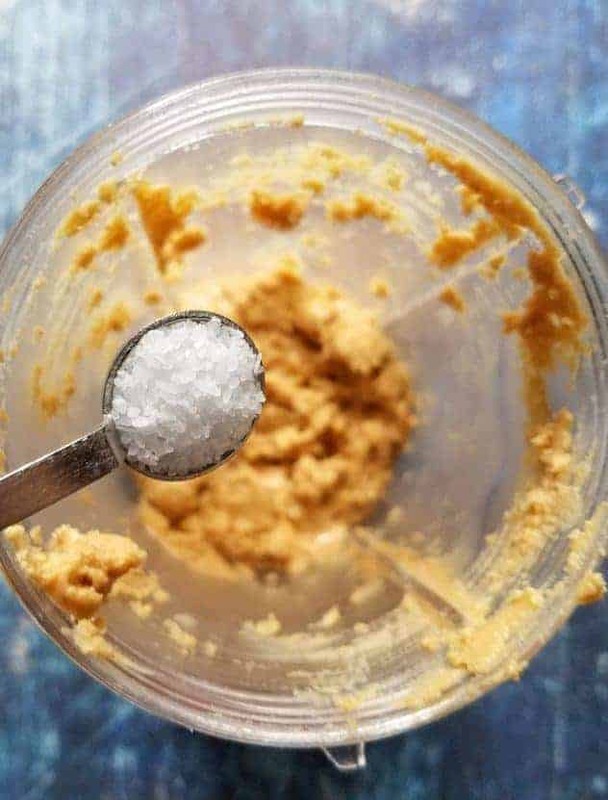 I made this peanut butter using a magic bullet which I wouldn't recommend. While it can be done, it's easiest to do this in a real blender or food processor. I love peanut butter although I actually buy from the store. And it’s not always good since at times it’s never as smooth. So when it comes to preparing peanut butter, that sounds awesome. I think I should try this. It’s great to have a recipe that you know doesn’t have any of that nasty additives in it! I have never made my own but your recipe makes it so simple I’ll have to give it a go. 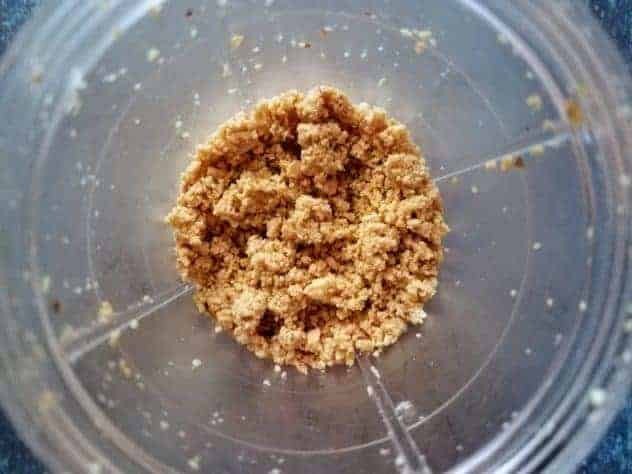 It is better for you to make and consume homemade products instead of just heavily relying on the convenience of picking them up in the store. When we make our food, we know it’s all natural and healthy without added artificial ingredients, preservatives or fillers. I’d love to make homemade peanut butter myself. I’ve always wondered how to make my own at home. I need to try it sometime. It sounds healthy and delicious! Yes, a recipe I need! I pinned this on my Pinterest board because I need this. Especially when peanut butter is so expensive here in Japan. Not crazy about peanut butter but I do buy the organic ones that cost a small fortune lol. The only ingredients ar things you can pronounce and find in stores. However, where I come from, we do grind peanuts into paste and make them into groundnut soup. Delish! I’m glad I happened by because I thought I was the only one who put my peanut butter in the refrigerator!! I love homemade peanut butter. I never thought to make it with pistachios!